In far eastern France, on the border with southern Germany, the winemaking region of Alsace is perhaps the most geologically complex in all of France. Much like Burgundy, the vineyards of Alsace lie on the western side of an escarpment that holds a mosaic of soil types and microclimates. A range of east-facing hillsides, sunny days, and protection from moisture by the Vosges Mountains make for an ideal environment for vine growing. Unlike Burgundy, the wines of Alsace are known more by grape variety than vineyard name, making it a bit more difficult to presume quality based on a label alone. 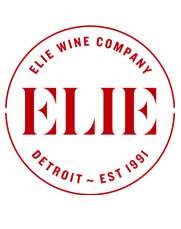 At Elie Wine Co. we’re taking that kind of guesswork out of the equation by bringing in only the best producers of their regions – like Domaine Albert Boxler. The Boxler family arrived in Alsace from Switzerland in the late 17th Century but only began estate bottling in the 1940s. The wine still wears a label drawn by Albert Boxler’s cousin in 1946. Today it is Jean Boxler, grandson to Albert, that manages the family’s holdings of around 34 acres centered around the ancient village of Niedermorschwihr in the most renowned sub-zone of Alsace, Haut-Rhin. 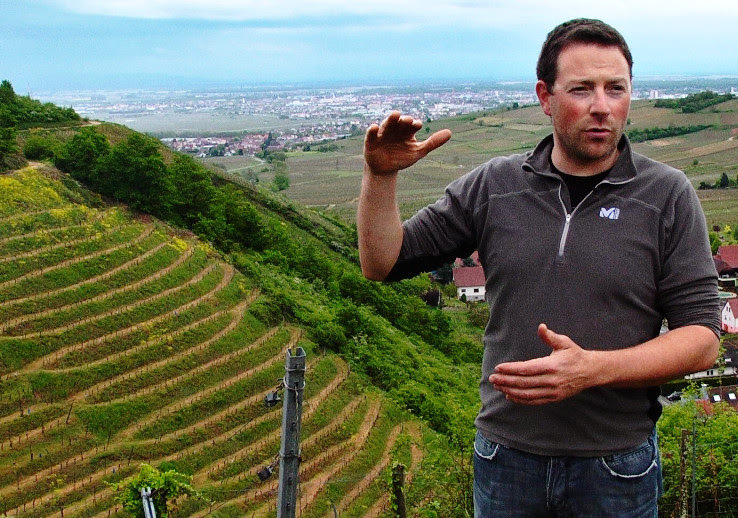 The imposing granite hillside of the Grand Cru “Sommerberg” terminates in Jean’s driveway allowing him to basically live in the vineyards and utilize organic cultivation techniques to ensure exceptionally healthy fruit year after year. Jean also owns land in the powerful Grand Cru of “Brand” just across from “Sommerberg” and near the village of Turckheim. All grapes are handpicked and sorted. After harvest, the wines are vinified using indigenous yeasts and aged in old foudres in a small cellar underneath the family home until bottling. He keeps all of his wines on the lees with no racking until bottling 11 months after the harvest. Only in years when Jean believes the variety is at its most interesting does he realize his Swiss roots with Chasselas, a grape variety of Swiss origin. The Chasselas vines are over 45 years old and growing out of granite soils. It’s a wine that exudes its Alpine essence with aromas of grassy meadows, tiny white flowers and raw hazelnut. A sip is dense and bracing and filled with just ripe stone fruit. This wine begs to be paired with a traditional Raclette feast. Sourced primarily from 15 year old vines from a plot in the Grand Cru of Sommerberg. Full and almost lush on the palate. Drink now or develop in a proper cellar over the next 15 years. 15-65 year old vines from the Grand Crus of Sommerberg and Brand. Rich, and dense with flavors of honeyed peach and herbs. Drink now or develop in the cellar over the next 8 years. 40 year old vines from the Kirchberg section of the Grand Cru of Brand. Precise white fruit and floral aromatics intertwined with intensity and depth. Drink now or develop in the cellar over the next 10 years. 40-67 year old vines from the limestone terroir of Heimbourg and Pfoeller vineyards. Fresh pineapple and floral aromas lead to a an elegant palate with a lingering salinity. Drink now or develop in the cellar over the next 15 years.